Are you are looking for fitness results? Have you tried everything? Well, almost everything. 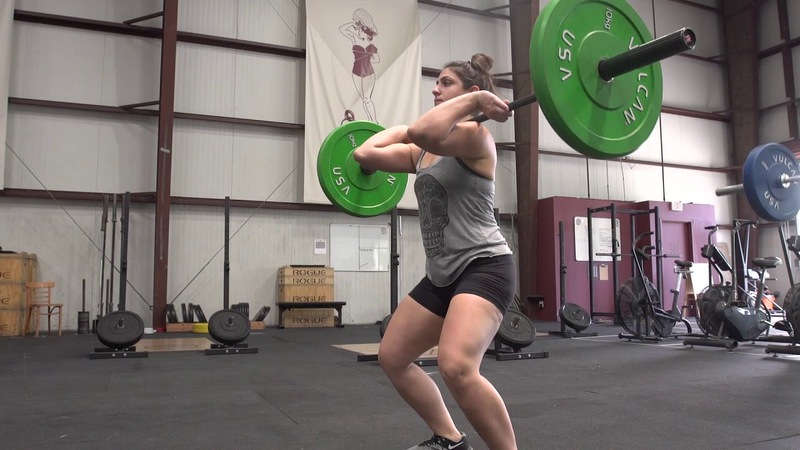 You have not tried CrossFit yet, but you heard about CrossFit Pasadena. You probably have heard that it is really hard, people get injured, it is a cult, it is the best workout you have ever had, the women look like men, those people are bulky. Well, some of these things are true. However, like most stereotypes, they are not all true. As a strength and conditioning coach for 17+ years, I can honestly say that I have not found a better training methodology out there for the general public. The results in fitness are undeniable, the physical, emotional, spiritual, mental gains are the best I have ever seen. Yes, I am biased, I’m the owner. But training all different levels of people from athletes to 80-year-old clients, this methodology when coached and done right is amazing. YOU ARE LOOKING FOR REAL RESULTS. Okay, yes, all fitness places say they can produce results. Nevertheless, in just 2 weeks we have had almost everyone improve their fitness from their first baseline workout. In 6 years of running the same baseline workout on the start of their program, I have only had 1 person not improve over where they started. What other fitness programs can say that? We measure our results, not on the scale, we measure it by Time. Were you faster than your first workout? We also measure by reps, quality of movement, range of motion, and load. We measure and keep track in our app called WODIFY so that we can point you back to that day and time we did that last workout. This way you can look at your performance and see how you are improving. We hear this reason a lot. It is amazing when I take my kids to the park to play there is a lot, if not majority, of the parents that are there sitting down, on their phones. Now, I get it, kids are hard work (I have two of my own) but a lot of those parents are not doing anything because they do not have the energy to play with them. They are tired, they don’t want to expend the little energy they have left when they know that when they leave they still have to feed them, bathe them, and then put them to bed. All of which is a lot of work. There are other parents who don’t have the strength to be able to pick up their kids. This is where we come in to help. Crossfit Pasadena workouts are designed to help you prepare for daily activities. Those daily activities may be picking your kids up and putting them into their car seats. It may be running around the playground with them playing tag. Yes, doing our workouts are going to make you sore, but we have been told in as little as 2 weeks that people have felt like they have more energy and can now play with their kids. So what is 2 weeks worth to you? YOU ARE LOOKING TO LOSE WEIGHT. The last area people come to us for is because they do not want to workout by themselves anymore. People go to big corporate gyms, buy a gym membership that they probably and then walk in and look at the sea of equipment and have no idea on what to do. It is just them and a bunch of strangers who are all locked into their headphones and mobile devices. Nobody talks to you, everyone just puts their heads down and does their own thing. This can be incredibly depressing, and definitely not motivated to help you reach your goals. Let me let you in on an inside secret…what makes crossfit Pasadena gym so special is that not only do you get world-class coaching, a beautiful facility, but the best part of PENDULUM is our people. These people will take the shirt off their back if you are in need, stay and talk with you if you had a bad day, push you in a workout when you don’t feel like doing one more rep. I could list all of the other things that they do for others, but you will need to come down and experience it. People come for the workout and the results, they stay for the friendships and accountability that those people bring to their lives.